Interestingly, there is sometimes a difference in various countries’ versions of Nexium: it is often sold as a tablet in Europe compared to a capsule in the U.S. Both products are made by drug giant AstraZeneca. There are many instances where the exact same drug, made in the United States, is astronomically more expensive domestically than internationally. To show you, just hop on the time machine to our series Made in America; Cheaper Abroad. 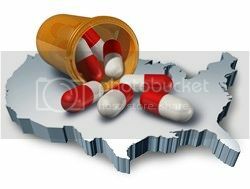 A recent blog post on Philly.com by pharmaceutical industry expert Daniel Hoffman, Ph.D., exposes the hypocrisy of pharma’s addictions to high U.S. drug prices and deceptive marketing. Dr. Hoffman asserts that because the pharmaceutical industry is doing a bad job at generating revenues with new and innovative medications, and even flailing in its “me-too” drug business model, it has shifted to “economic hypocrisy and legal sophistry” to protect and generate revenue. Its shift may also be caused by increasing use of generics and compulsory licensing (allowing generic competition in spite of current patents), as well as the flat-out uproar against high drug prices, especially in the U.S.
Dr. Hoffman used data from our “American Made; Cheaper Abroad” series to highlight the incredible price gap between domestic and foreign prices of American made drugs. A price gap should exist; there’s nothing wrong with companies setting different prices in different countries. Poorer countries pay lower prices, and richer countries pay higher prices. The problem is that drug prices are excessively high in the U.S., so much so that they are often unaffordable for tens of millions of middle class Americans. The pharmaceutical industry takes advantage of a global economy and free trade agreements to keep manufacturing costs down and maximize patent terms. Despite reaping the rewards of globalization, the industry continues to try to prevent consumers from doing so, as exemplified by its efforts to stop Maine’s progressive law that facilitates safe personal drug importation. The industry’s bogus safety arguments about personal drug importation failed to stop the law from passing and now the drug and U.S. pharmacy industries are turning to the courts to protect profits. Dr. Hoffman explains other legal ploys recently used by pharma, primarily to defend against charges of deceptive marketing practices. Johnson & Johnson, claiming its rights of due process were violated, tried to invalidate a request for documents by the City of Chicago in part because the city used an outside law firm that would receive a percentage of any settlement. In other words, J&J argued that by earning a percentage of a potential settlement, the law firm’s incentive to win was too strong and thus unfair to J&J! Facing similar charges, Merck argued against the Kentucky Attorney General’s similar arrangement with an outside law firm. A judge ruled against Merck’s complaint. To quote the author, “So pharma vigorously seeks justice from the legal system when it tries to prevent foreign countries from exercising compulsory licensing (i.e. breaking patents), while it also claims the public’s representatives shouldn’t be allowed to obtain first-rate legal counsel.” Pharma is trying to create an unfair playing field, both in the legal area and within the global economy. American Made, Cheaper Abroad: The Conclusion – 76% Savings Abroad! For 15 weeks, we tracked prices among U.S. and foreign pharmacies on popular drugs manufactured in in the U.S. (including Puerto Rico). Our analysis found that these medications were an average 76% less expensive from the lowest-cost PharmacyChecker.com-approved international pharmacy than a local U.S. pharmacy in New York City. Even when medications were available as generics, such as Singluair and Urocit-K, the prices for the brand name abroad were cheaper than the generic in the U.S.
For more information, read our recent press release. +price calculated from 84 pills. ++price calculated from 100 pills.